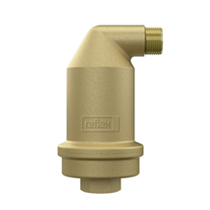 Reflex separators not only vent, but are also able to separate micro-bubbles, dirt or sludge. Automatic air vents and micro-bubble separators have been developed specifically for high temperatures in solar systems. Suitable Remov Iso heat insulation completes the range. 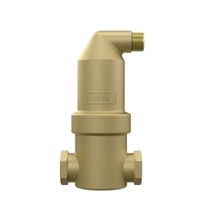 The design of the Ex-separator is the result of decades of experience and guarantees lasting, reliable operation. The Exvoid T discharges the separated gases into the atmosphere. This is an integral component of the Exvoid micro-bubble separator, for example. Exdirt separates virtually invisible but harmful dirt and sludge particles, thus protecting the system and saving on operating costs. 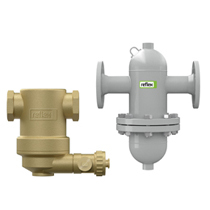 Exvoid micro-bubble separators are preferably used at peaks in operational degassing. Micro-bubbles are removed reliably and quickly. 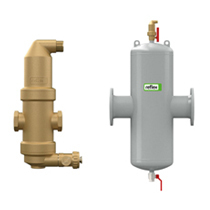 If sensitive equipment needs to be protected at peak times, then the Extwin is well-suited, separating both sludge and micro-bubbles.